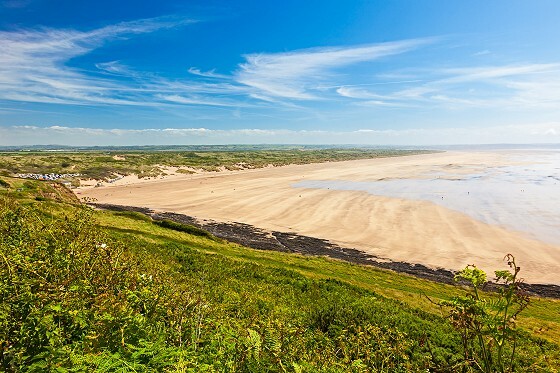 If you’re looking for some holiday inspiration, North Devon has to be one of the top places to visit for a summer break. The region is ideal for couples, families and groups of all ages. And there’s a long list of things to do, events, attractions to match any occasion or style of break. We simply had to start with the beaches of North Devon! They’re iconic and award-winning, gold and blue paradises for all to enjoy. There are small remote North Devon beaches that are hidden away, stretches of beaches perfect for swimming, and many places to simply relax and build sandcastles. Woolacombe, Saunton Sands, Westward Ho! You may have heard of these beautiful beaches, and rightly so, but you have to visit the beaches of North Devon to fully understand how amazing they really are. Spend long summer days lounging under the sun, playing sports by the tide, learning to surf and walking hand in hand in the sunset. If surfing is something you wish to try, check out Walking on Waves at Saunton Sands - as our hotel guests, get up to 30% off lessons. The benefits of visiting in summer include the best sunny weather, the thriving and lively atmosphere and all the shops and facilities for a great day. Hocking’s distinctive yellow and red vans can be found throughout the summer, why not spend your holiday trying to find them? 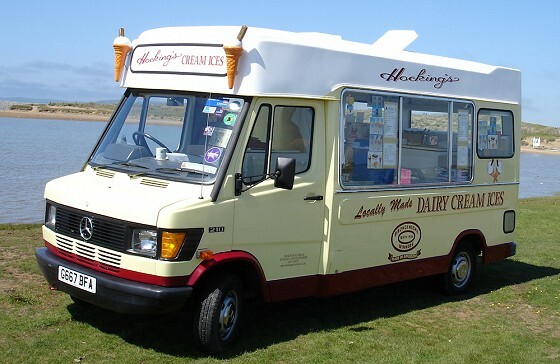 Ask any North Devon local or regular holiday maker and they’ll say that there’s ice cream, and then there’s Hocking’s! No one can quite put their finger on why Hocking’s is above the rest. Maybe it’s the classic ice cream cone done extremely well (don’t forget to add the Flake), maybe it brings back childhood memories of chasing vans down the street, or maybe it’s the West Country ingredients used in a family recipe that’s been developed since 1936? Or perhaps it’s because Hocking’s vans can be found in beautiful key locations around North Devon: Appledore, Barnstaple, Bideford, Ilfracombe, Torrington and Westward Ho! And other spontaneous places. There’s no better feeling than sitting on a bench or on the beach to watch the waves whilst enjoying a classic ice cream cone. The Tarka Trail runs from Mid-Devon up to Braunton in North Devon before becoming a part of the South West Coast Path. The former railway track is traffic free, flat and family friendly - a must for anyone wanting to explore the area. Named after the stories of Tarka the Otter, the trail passes through Barnstaple and is found very near our hotel by the edge of the River Taw. There are several places to hire bikes locally, including Barnstaple’s Tarka Trail Cycle Hire, who can loan bikes for half days and full days. 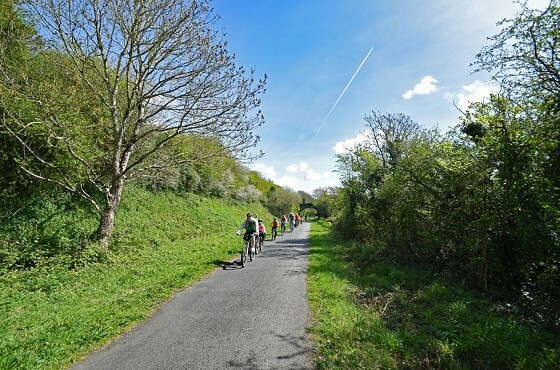 The Tarka Trail offers plenty of picnic spots, cafes and pubs to stop off for rest and refreshment for all your needs. It all adds up for a perfect day out. Aside from the Tarka Trail, there are many more places to walk in North Devon! Baggy Point in Croyde, The Torrs in Ilfracombe (pictured above), Crow Point and the Braunton Burrows, Heddon Valley, Watersmeet, Valley of Rocks are just a few we can list instantly, but there are many more. Wherever your feet take you in North Devon, you can be sure of fantastic views and many photo opportunities. 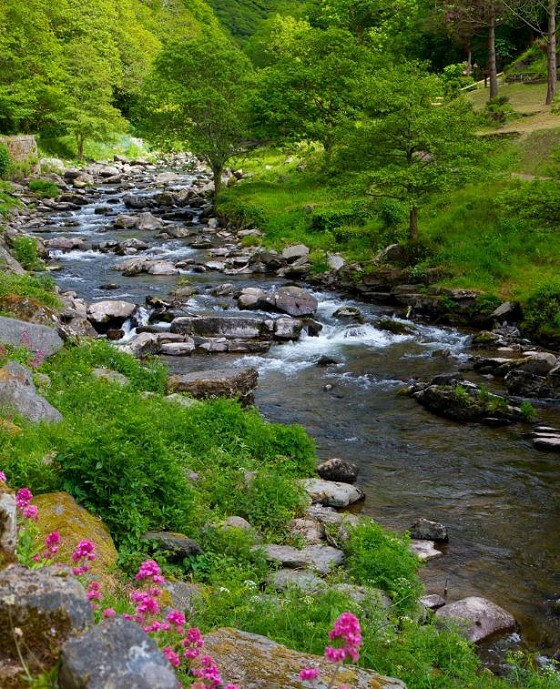 Exmoor National Park is a wonderful place to escape too, especially in the summer when the area looks particularly beautiful. And we really do mean escape, there are some places on Exmoor that feel remote and isolated, with no people and no phone signal. If you wish, you can find yourself off the beaten track. A visit to Exmoor can just be you, nature and the wild ponies and deer. Or follow the main roads to see key attractions and stay on the grid. You’ll find some of England’s most untouched woodlands, forgotten lanes and cute villages. 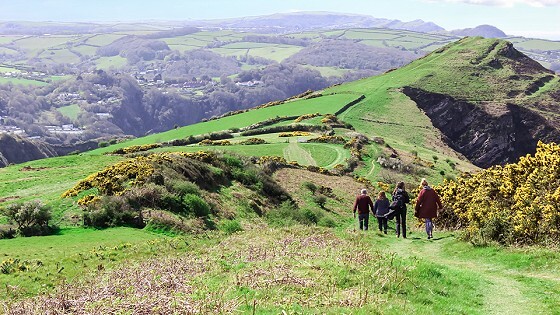 Whatever you want to do, there’s everything on Exmoor; exciting activities, low-lying river-valleys, high cliff tops, wildlife and unforgettable views. 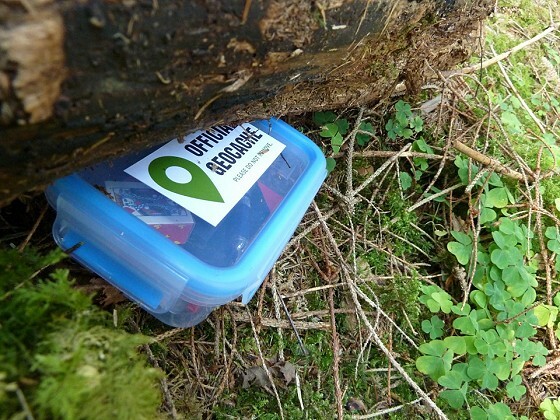 If you love to be out an about and haven't given Geocaching a go yet, North Devon is a great place to start. Geocaching is the world’s largest treasure hunt. It is a fun outdoor activity for all ages, where participants use GPS tracking to hide and seek containers called ‘geocaches’ or ‘caches’ for short, at locations all over the planet. Download the geocaching app to take part - there are plenty of caches around North Devon to take advantage of. 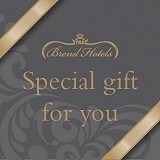 Our parent company, Brend Hotels, got involved with geocaching in 2018, releasing Brend Bears into the wild. One of the best things about North Devon, if you love playing golf, is the number of wonderful and famous courses there are in the area. Royal North Devon Golf Club - the oldest club in England, surrounded by the beautiful setting of the Northam Burrows. 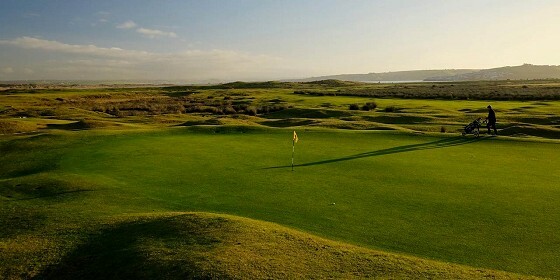 Saunton Golf Club - formed in 1897, their 18 holes are embedded into the famous Braunton Burrows. A beautiful setting for beautiful golf. Ilfracombe Golf Club - high above the town of Ilfracombe, their golf club enjoys sea views from every hole. Great Torrington Golf Club - a smaller but challenging course, enjoy 9 holes suited to a 27 hole play. Portmore Golf Club, Barnstaple - two courses in the heart of North Devon, one for beginners and group fun, another for a more serious game with strategic planning. Woolacombe and Mortehoe Golf Club - a family 9 hole course with panoramic sea views, that will test your short game. Your North Devon golfing break awaits! The final item on our North Devon summer holiday ideas list is to enjoy all the art and history found in the region. The regions natural beauty has inspired craftsman for generations and North Devon has a rich cultural heritage. 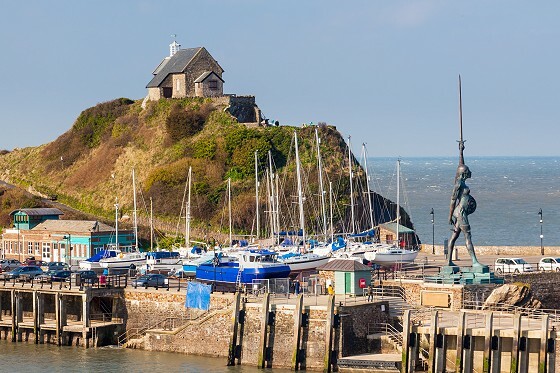 There are many places to see art: White Moose Gallery in Barnstaple, Burton Art Gallery Bideford, Broomhill Art & Sculpture Gardens near Barnstaple, or even the Verity Statue by Damien Hirst in Ilfracombe. For theatres, visit The Plough Arts Centre Torrington to see local talent. And history can be found around every corner too. By travelling along the Tarka Trail, snippets of the historical railway line can be seen. The Barnstaple Museum has collections and displays covering the natural and human history of North Devon whilst historic homes such as Arlington Court and Hartland Abbey showcase family history. By visiting Clovelly Village, you’ll be whisked back in time by the cobbled streets and museums. If you love taking holidays to areas with lots of history and arts on display, this is just a snippet of life in North Devon. The amount of summer holiday ideas in North Devon is almost endless, and you’ll easily find ways to fill your visit. If you would like some accommodation in a convenient location in the heart of the area, see our OFFERS PAGE for the latest low prices at The Park Hotel.